Please join me and the rest of the Basel InterNations community at the next Basel Official Event on the 28t March at Desperados. 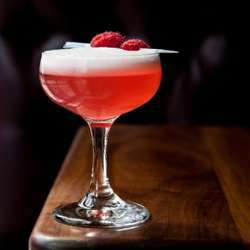 This venue is situated centrally on the Steinenvorstadt between Heuwaage and Barfüsserplatz and is one of our favorites when it comes to cocktails! We'll also have chili cheese fries and Desperado's cheesy nachos finger food served around 20:30, however make sure to arrive early to maximize your chances of meeting new friends and connections. Coming alone? Let us know and we'll gladly introduce you. On a personal note, this will be the last official event I organize for InterNations and I would like to add that I have really enjoyed hosting the events and getting to know you over the past few years. I've been fortunate enough to make many friends in the community through this role and I look forward to being able to relax a bit more at future events as a guest!